The IBM Infoprint 4100 Advanced Function Printing System is a next generation digital publishing and production output solution. This continuous forms printer can produce the high image and text quality traditionally available only from cutsheet solutions, and prints on a wide range of paper. 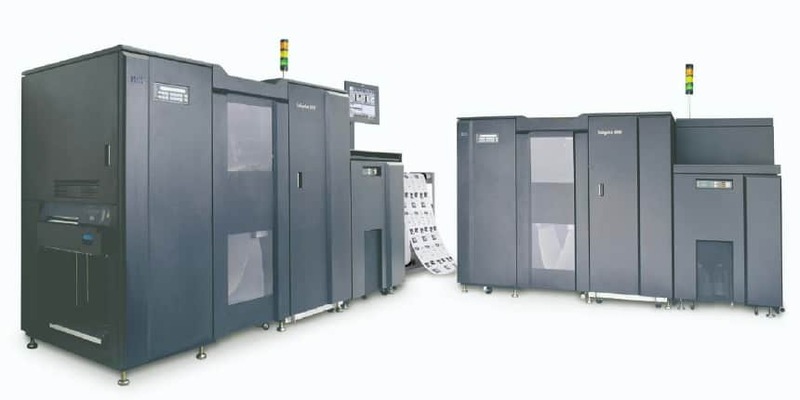 In addition, the IBM Infoprint 4100 provides the highest speed for electrophotographic printers and allows users to produce more output with fewer devices and less operator time. Commercial printers can use the Infoprint 4100 to help reduce the costs of printing books or technical manuals. Direct mailers and service bureaus can lower costs by running a broad range of paper weights at higher speeds. And enterprise production centers printing statements or publications can reduce operation costs with the new high speed and the flexibility of integrated pinned or pinless printing— all while providing a new level of print quality for text, graphics and images for a competitve advantage. Providing the highest image and text quality available at this speed in continuous forms printing today, the Infoprint 4100’s hardware enhancements include technological advancements in printhead, developer and fusing mechanisms, plus an integrated optical density feedback system for sharp, clear images and text, job after job. Software enhancements include customized, selectable halftones with four screen frequencies and an innovative 256-level grayscale simulation of color objects using IBM patented technologies. Operators can switch between pin-fed and pinless printing for the greatest print job flexibility and full printer utilization. Autoload and auto-align functions provide fast, easy paper threading for both pinned and pinless operations.